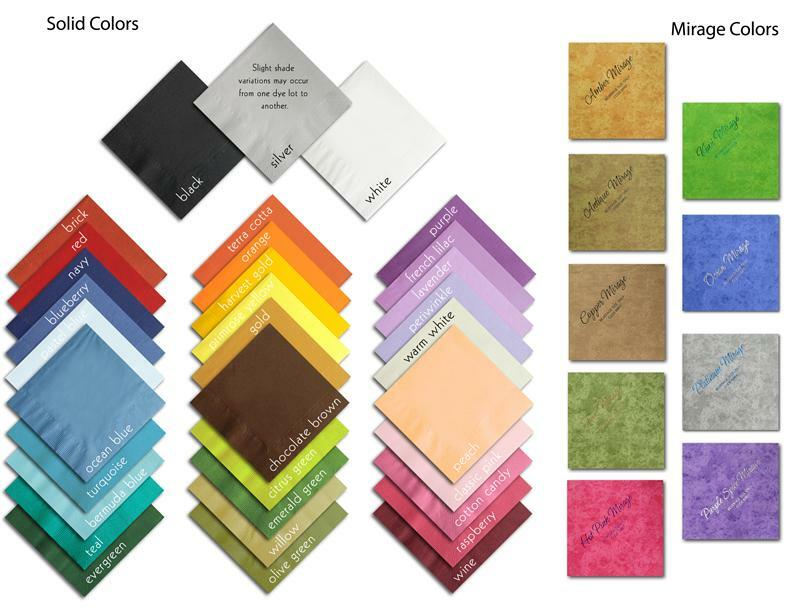 Napkins are perfect for Holiday Parties, Housewarming Parties, Weddings, Custom Party Napkins, Birthday Parties, and more! Your choice of ink color, napkin color, napkin size, typestyle & napkin positioning! Design gets positioned above text unless you provide other instructions. Initials/Monograms available instead of design. Computer monitors may display color differently, font size is determined by the typesetter depending on length of copy.